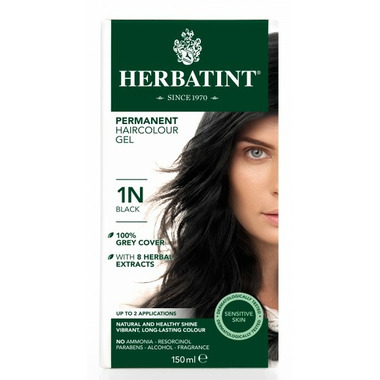 Herbatint "N" Series Natural Herb Based Hair Colour is the most natural permanent hair colouring gel! 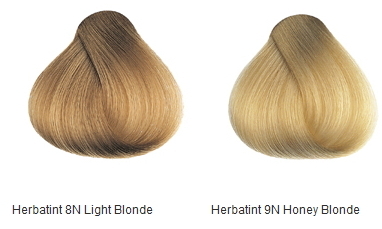 It is a unique hair color formula that not only gently colours hair, but also protects and nourishes it. It is a great colour. It was very easy to use, not messy at all, did not have any smell, covered my grey hair, and my scalp is not itchy! Hair is silky and shiny! This is my go to hair colour product. I use the 6N and it covers grey better that any others I have tried. (In any hair colour line you need to use N series to cover grey). I am 80% grey. It leaves my hair feeling really soft and shiny and I love the conditioner too. Some other brands of dye have irritated my scalp but this one doesn't at all. I mixed the dark blonde with the light chestnut brown to get the perfect colour I love. That being said I find my hair is very dry and frizzy and must use the straighner everytime I shampoo now to get rid of the frizz. I used this product for the first time and exactly as directed. It left my hair extremely dry and brittle, a first for me. Also, the colour did not completely cover my 10% grey hair. Will not repurchase. Teint trÃ¨s bien les cheveux et ne sent pas fort comme la plupart des teintures chimiques. Par contre, je trouve qu'il n'y a pas eu assez de produit (pour couvrir seulement ma repousse cheveux blancs): j'en ai presque manquÃ©. Aussi, deux petites bouteilles doivent Ãªtre mÃ©langÃ©es dans un bol en cÃ©ramique pour ensuite Ã©tendre le mÃ©lange avec un pinceau (non-fourni)...Je prÃ©fÃ¨re lorsque le produit est mÃ©langÃ© dans une bouteille et appliquÃ© avec cette bouteille. I'm a huge fan of Herbatint. It's grey coverage is outstanding and far outlasts all other brands I have tried. As others have said, it can come out a bit darker so be careful which shade you chose. 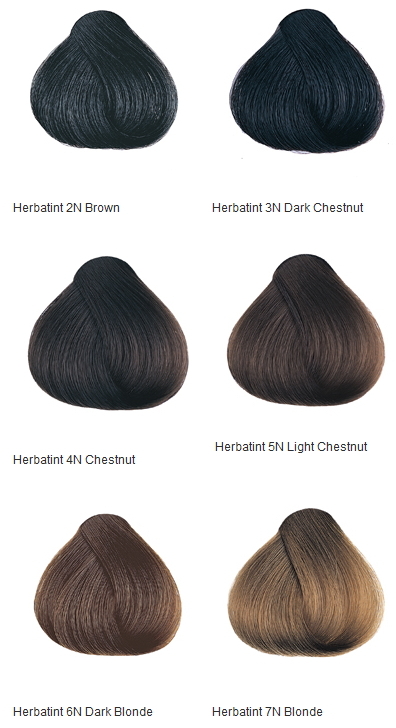 I have dark brown hair, and I have to go to chestnut or dark chestnut. When I tried using the Brown hair colour, it came out very black. Flawless! Coloured my hair over the bleached and purple / pink coloured strands seamlessly. You can't tell the roots from the formerly dyed parts. Yes, the color is quite dark (1N; like a cool-toned dark black) and makes me look a wee bit goth but the product did its job brilliantly. I really like this product, it covers grey hairs very well and it makes my hair look nice and shiny. However, the colour comes out way darker than what's shown on the box! I used 5N light chestnut and I got a dark brown. Next time I will try the next one up, 6N dark blonde. This product is so much better than chemical hair dyes. My hair looks and feels healthier and very shiny. The colors are rich, provide fantastic grey coverage and last longer than other brands. Never going back. I love that product, really covers my gray without the feel of damaging my hair. The color is pretty dark at first but it looks very natural after a couple of shampoo. I've been colouring my hair for 35 years. I've used drug store colour, henna and had my hair coloured in the salon. I've been using this the last six months and it's by far the best colour I've ever had. Looks natural, covers grey and my hair is in great condition. Worth every penny. My first shot at Herbatint after years on Tints of Nature. My hair color is medium brown with very little grey. I went with 1N - Black but, after the full 40 minutes of having the product in my hair, and following all directions, I only ended up with a very dark brown, not black. Not sure why because the very many reviews state that you generally end up with a shade darker than expected. When viewed against the light, or in sunlight, my new dark brown has a nice reddish sheen to it, so it's so bad but, still, I wanted black... I intend to try again in a couple of weeks, same shade. As for the other aspects of this coloring - no irritation, nice shiny hair, and all my grey got covered. I hope it lasts for a while. I've been using Herbatint for over a year now and I love it! It looks very natural. 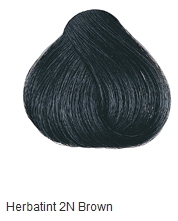 It doesn't leave a flat block of colour like some dyes and is good for at least 4 weeks. My hair is definitely more healthy than it was when I went to the salon regularly and it actually has some shine, which I don't think I've had in very many years! I'm also 50% grey and it covers my grey strands just as well as the rest of my hair. I tried Light Mahogany Chestnut. Right away, the color was rich and vibrant... but quickly fade away, within a week a so. It also left my hair extremely dry, straw-like dry. This was my first try at natural hair coloration. I will keep looking for something better for my hair. I bought the 5N shade to correct my roots that my hair dresser messed up when putting in peek a boo highlights. I was worried about not being able to blend the colour in properly and getting weird lines in my hair as I was only dyeing my roots as I still wanted my blond highlights to come through in the rest of my hair. I had read reviews that this dye tends to colour your hair darker than advertised, so I did a strand test and only left it on for 20 min instead of the 40. I am AMAZED! This is the most natural looking brown I have ever dyed my hair. It looks exactly like my natural colour, brown with red and blond strands in it. I didn't get any weird blending lines at all. I will definitely be buying this brand before any others when dyeing my hair in the future. And as an added bonus, it has practically no smell and there are no strong smelling conditioners after the fact either.